There is an ongoing battle for the channel with the most subscribers. PewDiePie has held the top spot since August 2013, but T-Series is threatening to claim this spot. Both channels have over 72 billion subscribers, with PewDiePie leading by around 200,000 subscribers as of the end of November 2018, but T-Series is predicted to overtake him eventually. When it comes to the channel that has the most views, however, T-Series has long surpassed PewDiewPie’s stats. The music label’s channel takes home the grand prize with more than 54 billion views as of November 2018, while PewDiePie’s channel has 19 billion. In this article, we are going to break down every aspect that has led to T-Series’ success on YouTube. T-Series is an Indian music label and film production company that started in 1983. 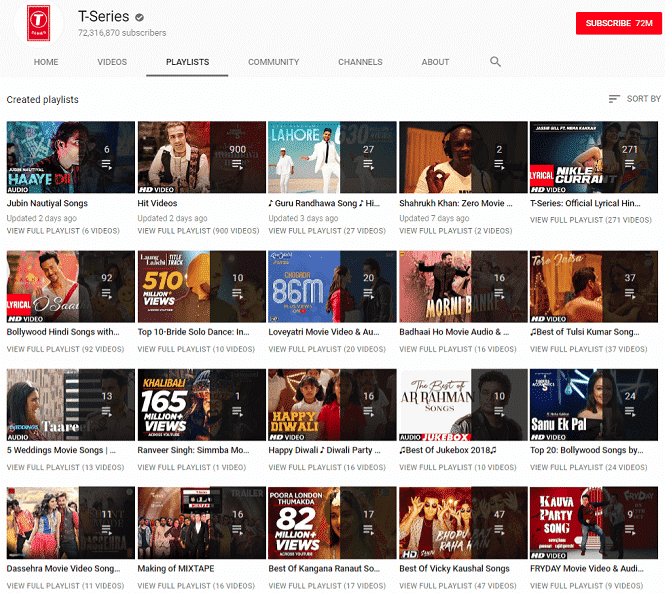 Although it’s not exactly a household name in the western part of the world, T-Series is actually the largest music label in India. As a matter of fact, the company holds the record for the best-selling Indian soundtrack album of all time when it released Aashiqui in 1990. The T-Series YouTube channel was created in March 2006, but had only become popular in early 2018. Let’s investigate how this Indian conglomerate has taken over the YouTube community. Majority of the videos on the T-Series YouTube channel are Bollywood music videos and movie trailers, and this description right here gives you a glimpse of two of the factors that led T-Series to become the most viewed YouTube channel: content type and target audience. First is that the majority of their content is music videos, which is the most popular type of video on YouTube. Look at the list of the most viewed videos on YouTube and you’ll see that 94% are music videos. T-Series is therefore on the right track as its content is of the type that people mostly go to YouTube for. Next we’ll look at the fact that T-Series is based in India, the second most populated country in the world and the second largest online market next to China. Out of the 1.35 billion people in India, however, only about 500 million have access to the Internet. This gives T-Series a target audience that is way more than the number of American internet users, and there’s still a lot more room for growth. The Indian government is focusing on improving the country’s Internet infrastructure with $20 billion worth of investments. It also doesn’t hurt that a number of multinational companies are seeing business opportunities in India and are helping millions get connected to the Internet. The right content type along with the huge audience base has helped make T-Series the most viewed YouTube channel in the world, but it is important to note that these are not the only factors. There are other YouTube channels which focus on music videos and have a large target audience, but they didn’t become a hit. What makes T-Series different? T-series makes it a point to publish two to three videos per day. You might wonder how they can do this since it’s not everyday that a single, soundtrack, or a movie trailer is released. 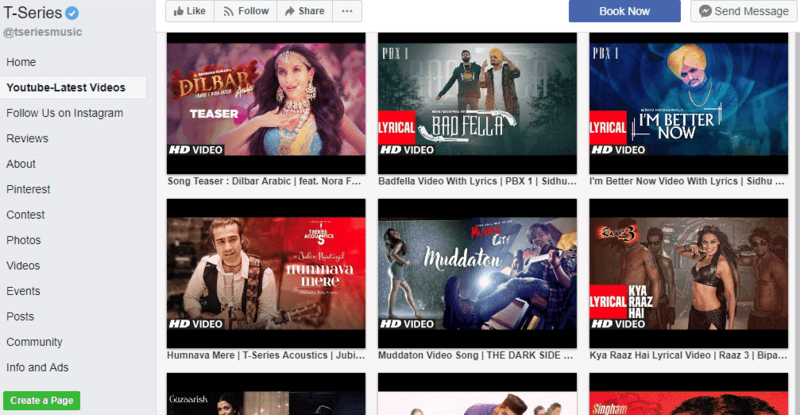 As you can see, the channel mixes up the content a bit by releasing official music videos, lyric videos, full audios, soundtrack videos, interviews, behind the scenes, and different sets of best in Bollywood songs. 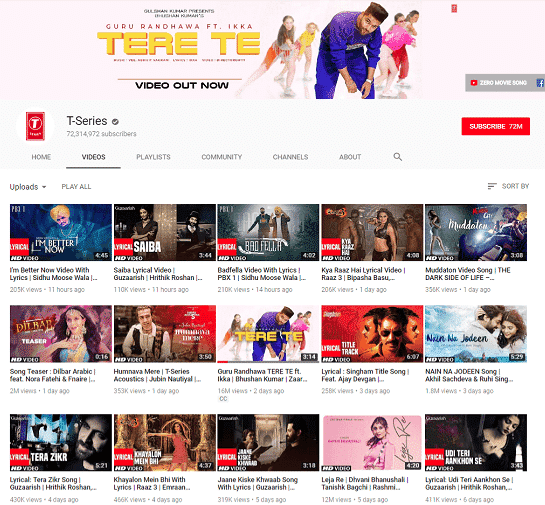 The T-Series YouTube channel has more than 600 playlists, and is seen to be creating new ones even as they continue updating old playlists. Most of the channel’s playlists consist of not less than ten videos each, with some playlists even having more than 100 videos. The channel also has a playlist for all lyric videos (with more than 250 videos in it), and playlists for all movie trailers released during a certain year. With this huge number of playlists, chances are that one video can be on more than one playlist, which can do wonders for the company’s SEO. T-Series does not rely on mainstream media and YouTube alone. They are also active on other social media platforms, and even gaining more and more followers. As of November 2018, its Facebook page had 4.2 million followers, and this can grow even more as T-Series continues to post on the site multiple times a day. Their YouTube channel is also integrated on their Facebook page as one of the page tabs, which is a great cross-promotion strategy. On Twitter, T-Series has 1.44 million followers. They tweet two to three times a day and retweets a lot of relevant posts. T-Series has less followers on Instagram than on other social media sites, with only 939,000 followers as of November 2018. However, this is not stopping them from posting on the site multiple times a day, if only to greet artists on their birthdays. How can anyone catch up with T-Series? The numbers may be overwhelming, but we’re not asking if anyone can surpass T-Series as the most viewed YouTube channel, because it is very possible to do so. We’re asking how you, PewDiePie, the second place WWE network, or anyone can catch up with the Indian conglomerate. Let’s start with the basics and get free YouTube views using flagship videos, cards, and end credits. While music videos are the most popular type of content, only a few can actually release such videos legally. Focus on a niche instead, but choose the popular ones as much as possible. Experts suggest that YouTube’s algorithm favors long videos. So the longer the videos are, the better. People are naturally attracted to anything that many people are attracted to. Call it herd mentality, or look at it this way: the more views you have on YouTube, the more people will be inclined to view it. Create an impression by buying quality YouTube views. 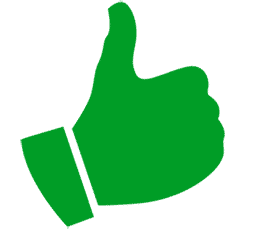 There are a lot of providers out there, so make sure to choose the right YouTube views provider by reading our reviews and researching. While it could be difficult to top T-Series’ commitment of publishing two to three videos a day, you can still adopt a regular schedule such as once or twice a week, or even be a daily vlogger. T-Series is a large corporation and therefore has a whole department dedicated to publishing on YouTube, while the majority of YouTube video creators are one-person teams. Share your videos on your other social media accounts such as Twitter, Facebook, and Instagram. You can’t be on YouTube alone. You need to be all over social media, just like the top YouTube personalities, and T-Series itself. 3 million+ views within 12 hours and a trending video now on @YouTubeIndia. You also need to learn other ways to promote your YouTube channel, which should start with your titles. Playlists are also a great help, so create ones that have at least five videos on it – there’s no point creating a playlist with only two videos. You may also get creative and make a YouTube video series, or even work with influencers. If you have the cash, you can enable YouTube ads, or create YouTube giveaways and contests. It’s not enough that you have a great video. Your video must be seen by the people you are targeting. How is this possible when there are 100 hours of video content being uploaded on YouTube every minute? Your video will be like a tiny speck on the entire sky. With a YouTube SEO strategy, however, you can grow your audience despite the fact that YouTube has become very crowded. Finally, learn from the best channel at getting, and at this time that channel is T-Series. Read and analyze the previous sections which discusses the factors that made T-Series become the most viewed YouTube channel. Take a look at their video titles, post schedule, the way they group their playlists, and even how they interact on other social networking sites. Even if you have a different niche, you can still pick up some of their best practices and apply them to your own channel. Regardless of whether you want to earn from YouTube, or you only want your voice to be heard, you can make your channel go viral like T-Series and many other YouTube video creators out there.